Key Features: Paver Patio, colorfalls waterfall, landscape Lighting, Firepit, Stairs. 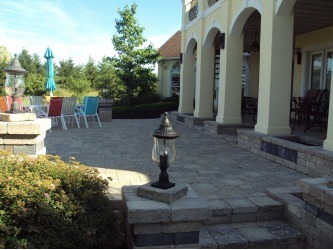 Columbus Paver Patio completed this paver patio in Medina Ohio using Unilock pavers. The total area of this patio was approximately 1500 square feet. The waterfall is a colorfalls 36in sheer waterfall with a white light. 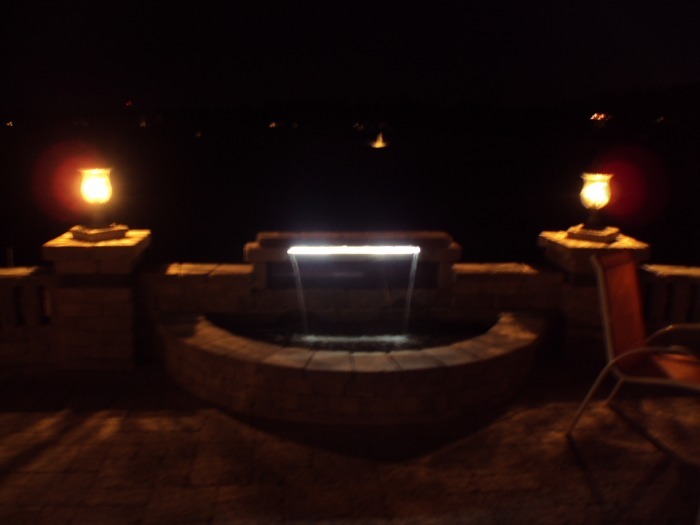 The Paver Patio was originally built 10 years ago but the owners wanted a new look , a water feature and lighting. 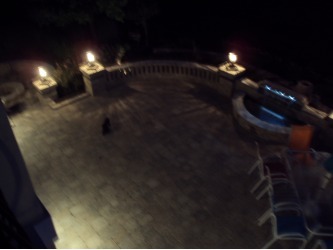 The patio utilizes seat walls for additional seating and to provide some privacy from the neighboring house. The seat walls were built using Unilock Brussels Dimensional Wall stone.